In 1916, tragedy struck what was then St. Patrick's Parish. 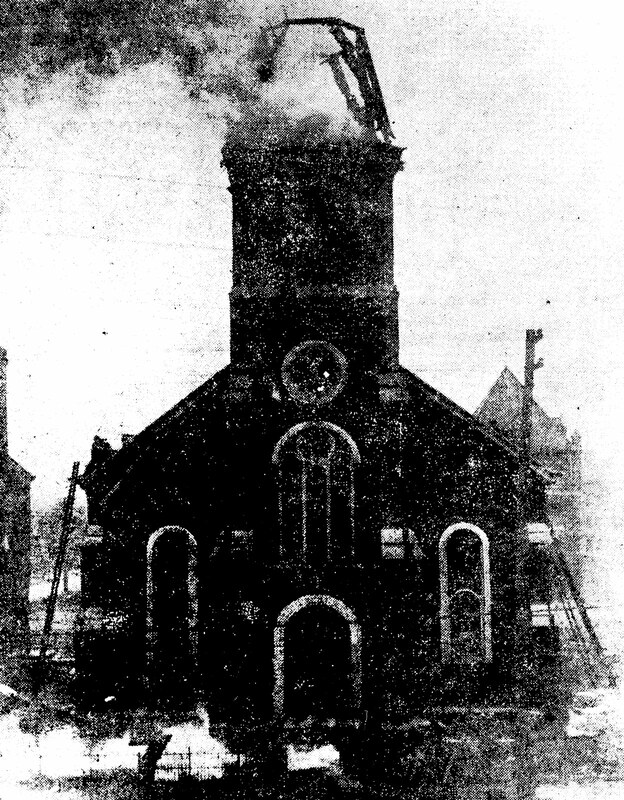 Fire ripped through the small church, completely destroying the spire and damaging the assembly area considerably. Within days, the pastor, 74-year-old Father Nelson Baker, ordered the church to be repaired, but, oddly, held off on fixing the spire. He had something else in mind . . .
Later, at a routine parish meeting, Father Baker unveiled his plan to build a beautiful shrine to rival the majestic churches of Europe. Speaking before an astonished crowd, the humble priest outlined his desire to have the finest materials and artists come together to create a true masterpiece — his way of paying homage to his patroness, Our Lady of Victory. 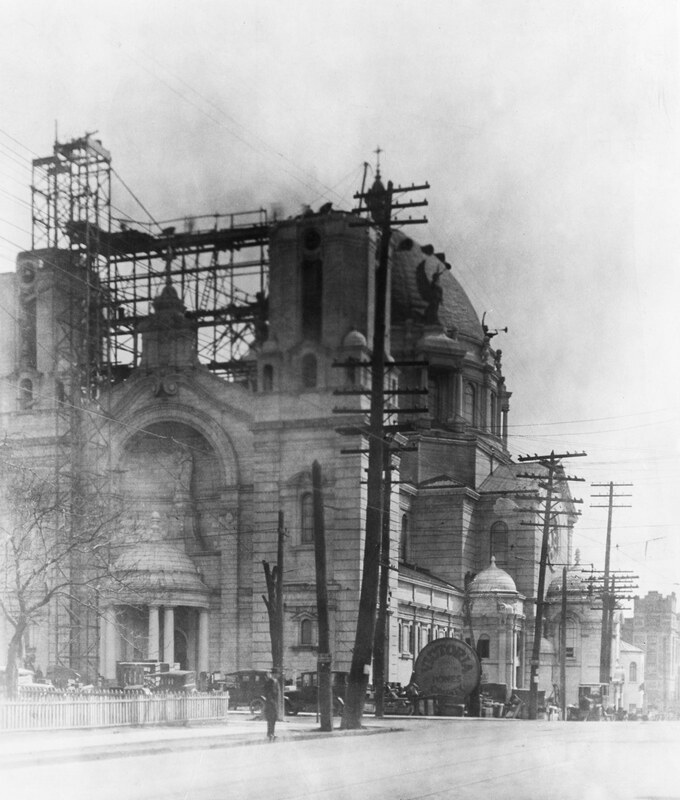 On May 7, 1921, Father Baker celebrated the last Mass at St. Patrick's, which was then immediately dismantled to make way for something much more magnificent. Knowing that he had not set aside a penny for the new shrine's construction did not seem to bother the aging priest. He was confident that, yet again, the Blessed Mother would look kindly on him, and she did. Father Baker sent out a call for support and it was answered by thousands of loyal donors, happy to assist such a project. Some contributed through the Association of Our Lady of Victory, Father Baker's pioneering direct-mail fundraising program, while countless others sent donations both large and small. Another call for help, this one to craftsmen and artisans worldwide, was answered by a group of some of the biggest names in religious works. The chief designer of the shrine was Emile Ulrich. A graduate of the Academy of Paris, he migrated to America in 1894 and opened an architectural firm in Cleveland, Ohio. It was Ulrich himself who personally inspected all of the artists' work both in the United States and Europe in order to guarantee Father Baker's wish for the finest materials and craftsmanship. Planning the interior artwork of the shrine was the task of master artist Professor Gonippo Raggi. Born and trained in Italy, Raggi's handiwork is seen in the magnificent oil paintings throughout the shrine. Aiding him was Buffalonian Marion Rzeznik. Born in Poland, Rzeznik studied painting and sculpture in Krakow, Vienna, and New York City before settling in Buffalo. The beautiful stained glass throughout the shrine was the work of Otto Andrle, a Buffalo-native and renowned artisan at the time. 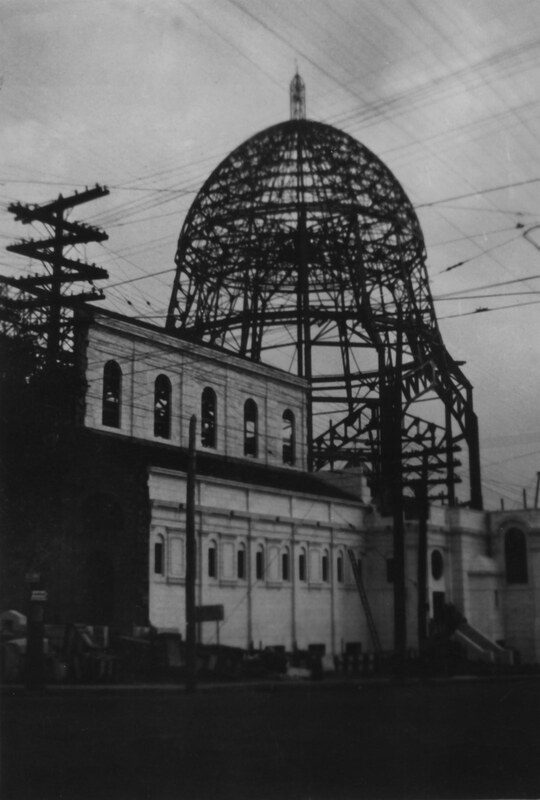 By Christmas 1925, construction of the great Shrine of Our Lady of Victory had not only been completed, but was entirely paid for. On May 25, 1926, a special consecration ceremony took place, attended by thousands of local dignitaries, clergy, and well-wishers. The consecration was presided over by Father Baker, Bishop William Turner of the Diocese of Buffalo, and Cardinal Patrick Hayes of New York City. Within two months, Our Lady of Victory National Shrine was officially designated a Minor Basilica via apostolic decree by Pope Pius XI. Father Baker's greatest dream had been realized. The gift to his patroness had been given.